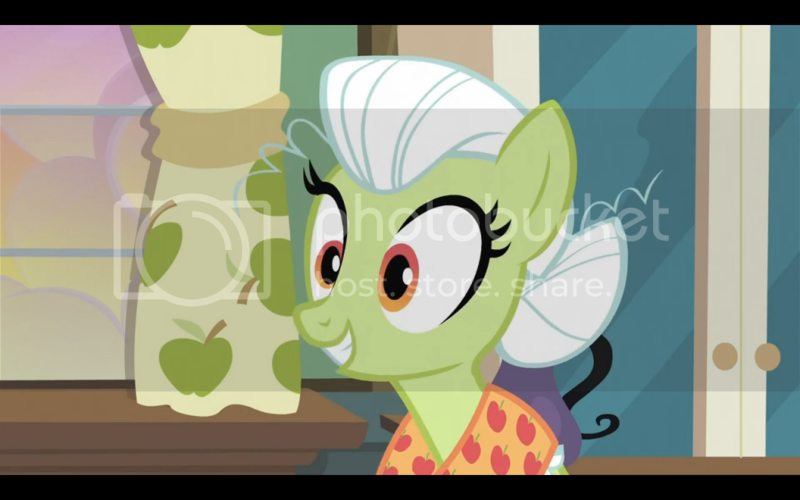 Apples from all across Equestria are coming to Ponyville to celebrate their family reunion. 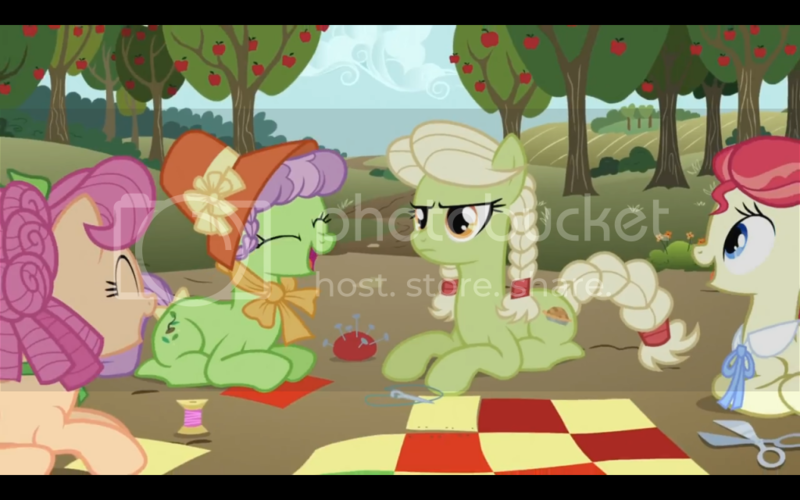 To help Granny Smith take it easy and enjoy the reunion, Applejack takes over planning and organizing the reunion. But good intentions go overboard when she plans every single minute of the reunion, without giving anyone any time to enjoy each other’s company. 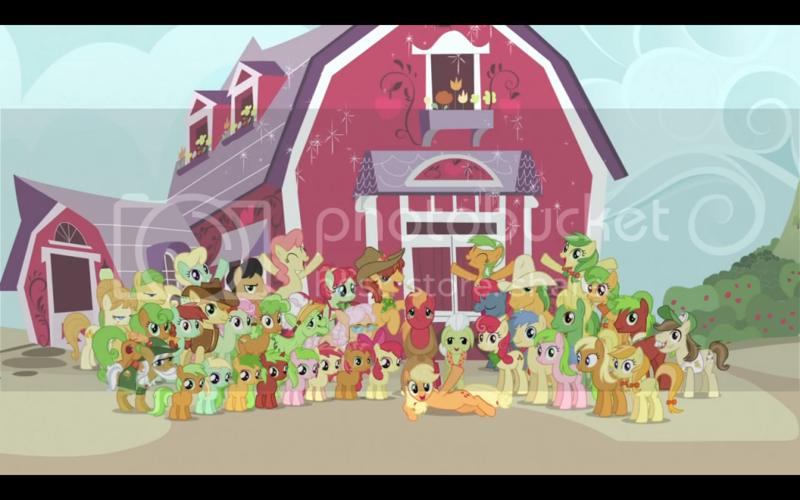 It isn’t until they accidentally destroy the barn that Applejack takes a step back and realizes that she completely missed the mark. But, the Apples are able to work together to put the barn back together and make some memories anyway. 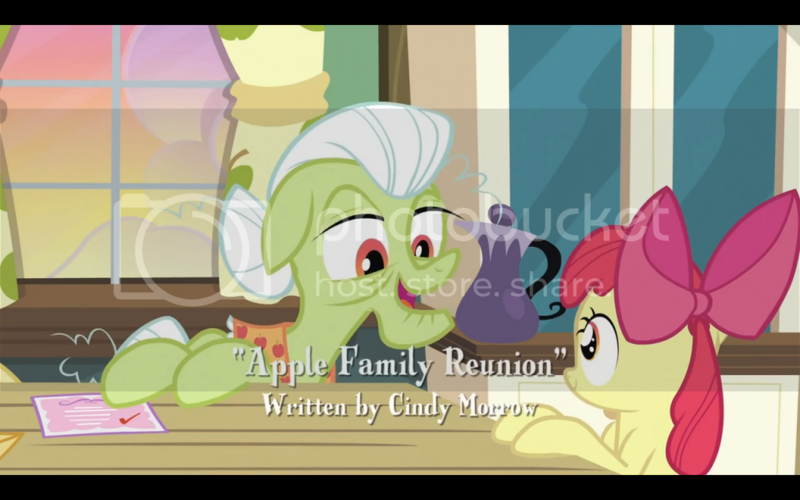 The episode ends with Applejack writing one of the only two letters Celestia has received this season. Well, it’s about time, is all I can say. 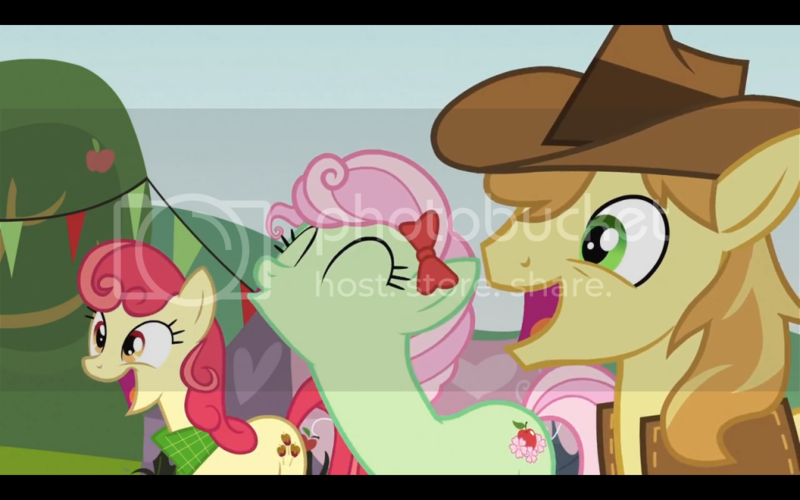 Out of all the ponies, Applejack seems to be the only one that gets fewer episodes focused around her than Fluttershy. I suppose part of that has to do with how much potential the character has. In the case of Rainbow Dash she’s brash and competitive, and has just about the most negative qualities of any of the mane six. There’s a lot of story potential there, and a lot of character development that needs a lot of time. A well adjusted pony like Applejack just can’t compete for the attention. Though this is a step in the adorable right direction. 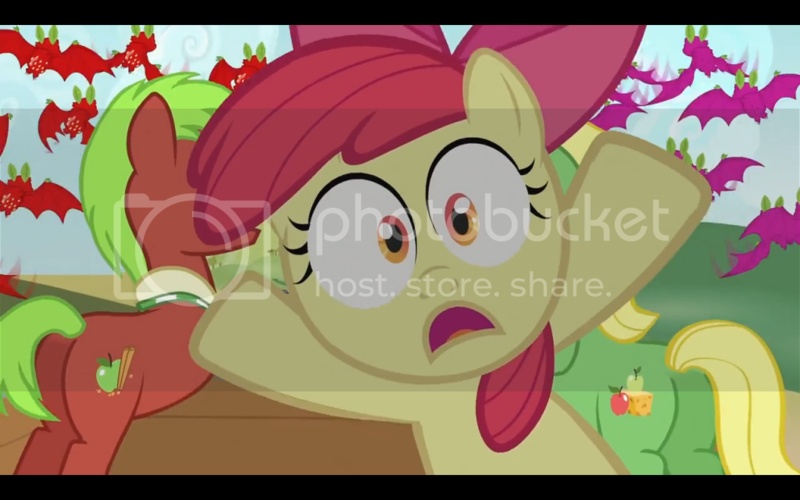 Since most of the time the format of any given episode is to show the main character with a flaw that they have to overcome, part of the trouble with Applejack is finding a flaw that needs to be overcome. Most of the time Applejack has a handle on her life, she’s a hardworking independent business owner (essentially), so there isn’t really that much to mine there. Her big episode was all the way back in season one, and they already took care of her stubbornness as a flaw that needed overcoming. 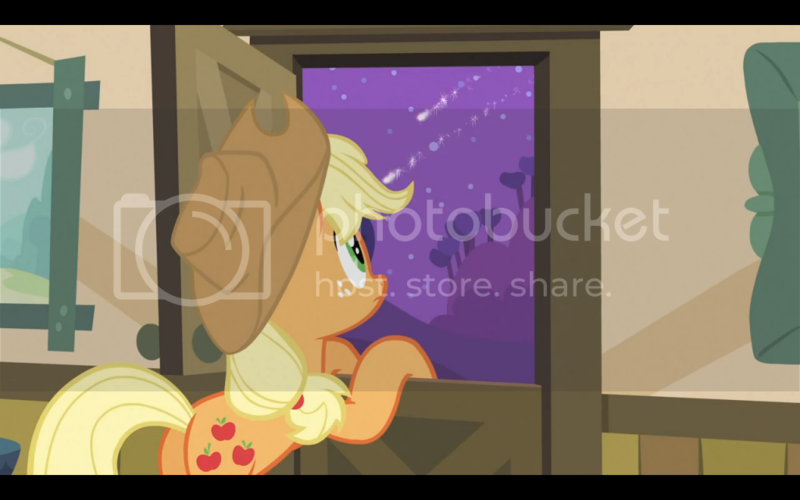 In this episode Applejack’s flaw, namely her penchant for overdoing things, is handled pretty well. While it isn’t a character trait that has been focused on much, it flows about as naturally as can be expected from her character. The only downside of this episode is that chances are it will be a long time before we get another one like it. I enjoy the idea of the Apples as such a large family, and would like some more time around them. There are a lot of background characters in that family that could get some development and carry their own stories for at least an episode or two. While normally I would consider the rest of the mane six not making much of an appearance a bad thing, considering how much focus each of them have gotten I think it was only right that Applejack gets the limelight this time. The song, Raise This Barn while catchy did not have the most inspired lyrics. It’s an earworm, make no mistake, but I can’t say that it’s quite up to par with past offerings. Musically this season has been a bit on the weak side, though that is to be expected from a season that is only half length. It’s still a shame though, the songs are one of my favorite parts of the series, particularly in season two, so not having them as much this season feels like we’re missing half of the experience. I imagine Raise This Barn will grow on me in subsequent listens, but for now I’m ranking it fairly low overall. This episode was a lot of fun, perhaps not the greatest episode of the series, but it gave focus where focus was sorely needed. Personally I would have liked a bit more from Big Mac, who happens to be one of my favorite characters. He hasn’t had that many moments during the series, but every one of those moments has been great. I would have loved to see him be the one to call AJ on going overboard, just like he did in season one when he told her she couldn’t pick all the apples herself. Babs’ return was surprising, considering she was only just introduced this season, but I enjoyed seeing her brought back. I get the feeling we’ll be seeing more from her in the future, and wouldn’t be completely averse to seeing the Fillydelphia branch of the Cutie Mark Crusaders.